Some really cool ideas to do with the kids. Our kids were in their pajamas from Friday night until Sunday noon on what was a cold and rainy weekend. What to do but build a roaring fire in the fireplace, roast chestnuts, bake cookies, and do science experiments? A while back we had a similar day on which our experiments were themed around air. 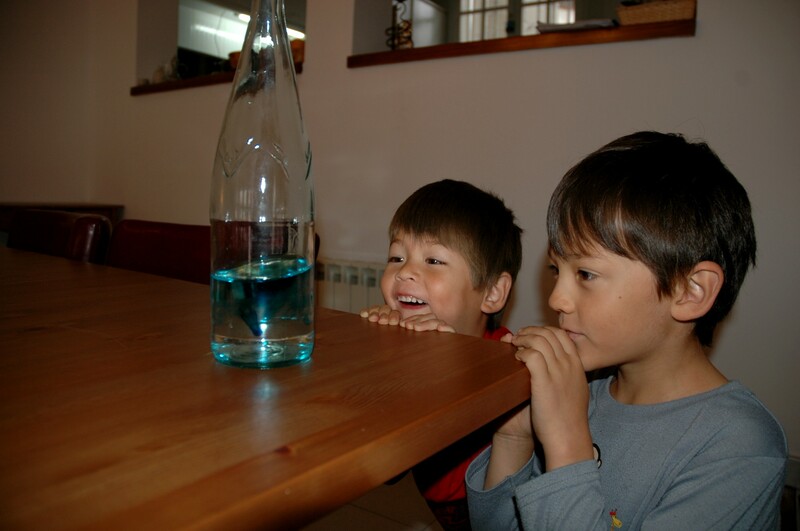 On Saturday our topic was water, and here’s what we did, all of the experiments sourced from the excellent website The Naked Scientists in their section Kitchen Science.